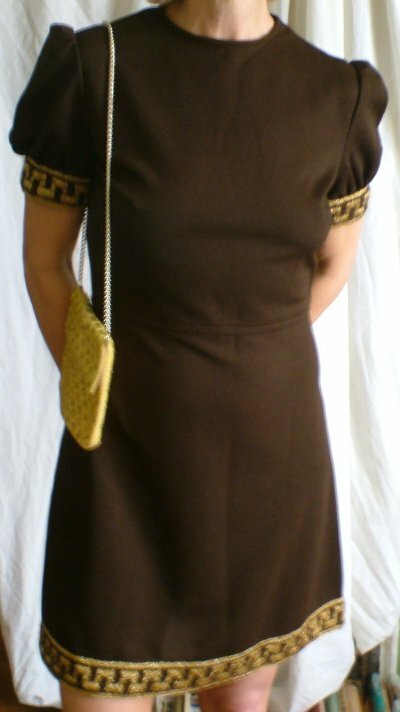 1960s vintage brown minidress with gold trim. This is a highly versatile dress, able to be dressed up or down as the occasion demands! 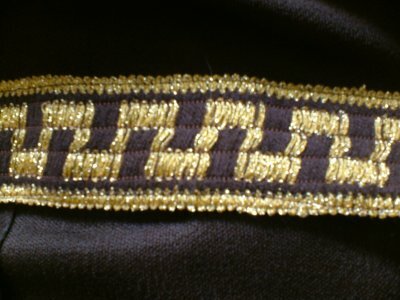 It's a plain, rich brown shift, in a man-made fabric, with two-inch wide gold patterned braid trimming the sleeves and hem. It has a round neck and short, slightly puffed sleeves; it's been hand made, and fastens at the back with a long metal zip and hook and eye. It's in excellent vintage condition, with apparently no faults! Let it take you anywhere! Approximate measurements are, bust 40 ins/101.5 cms, waist 30 ins/76 cms, hips 40 ins/101.5 cms, length 34 ins/86.5 cms. 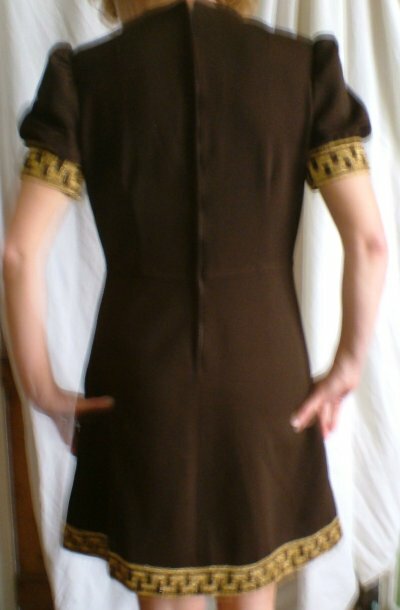 The fabric has some stretch to it, and the dress should fit fairly closely.